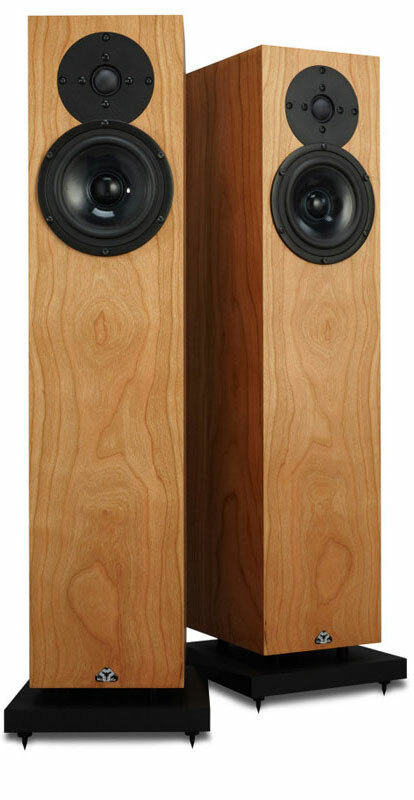 Hand built, high performance loudspeakers made in County Durham, Great Britain. Crafted not just for music, but by music. 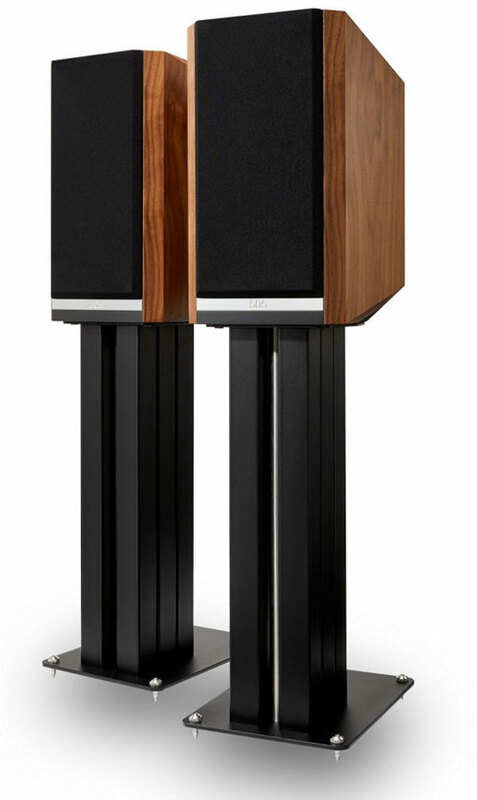 Kudos Audio originally began life as a maker of award-winning speaker stands until renowned designer Derek Gilligan took over the helm and Kudos was relaunched as a specialist in high performance loudspeakers. Derek comes from a family of skilled cabinet makers, hi-fi enthusiasts and professional musicians. He worked for many years as a sound and music engineer in professional audio and also as a designer for several hi-fi companies before taking over at Kudos to develop his own range of exceptional speakers. Since then, Kudos has evolved into one of the UK’s fastest-growing loudspeaker companies in recent years and has won numerous awards along with a worldwide following of audiophiles and music lovers. Kudos speakers have established themselves as some of the best-sounding available, with each model setting a standard at its respective price point. Why? Kudos deliberately take a different approach to loudspeaker design. Kudos use music as their primary tool in designing and assessing loudspeakers. Measuring loudspeakers in the traditional technical way is useful for fault analysis but often gives a misleading view of a product’s musical abilities. During his many years as a live sound engineer, Kudos’ Derek Gilligan discovered that technical measurements don’t reflect everything that we hear. There’s no substitute for extensive critical listening in a variety of scenarios. With live music, adjustments are made according to the sound that the musicians want, but also are based on the audience’s reaction and the fact that every single venue is different. Even in the same auditorium, a half-full room requires a different set-up than a capacity crowd. This invaluable experience inspired Derek to take a different view of loudspeaker design. Of course Kudos still use traditional measurements, but only to investigate technical issues within a design. 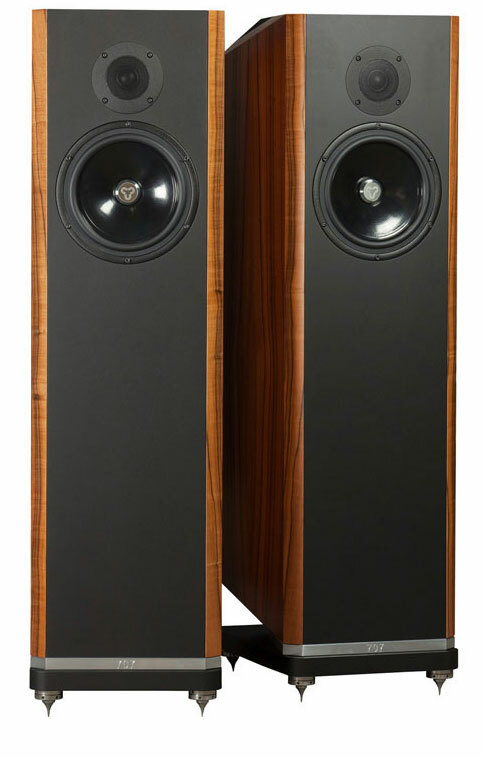 If a prototype loudspeaker sounds superb in a variety of rooms and to many different listeners, then the product has a good chance of making it into the Kudos range. Sometimes this may result in less-than-perfect technical measurements but Kudos do not consider that a problem. Particularly since those measurements often involve just one speaker, measured at a distance of one metre, in a laboratory. Hardly a reflection of a pair of speakers’ true performance! The human ear is a fine technical instrument. Kudos use theirs to tune and test every single product which leaves their premises, not one product will leave until they 100% happy with it. Do you have, or are you considering, a Linn or Devialet system? Kudos loudspeakers with both Linn and Devialet to bring the incredible performance of Linn’s Exakt and Devialet’s Expert active amplification technologies into selected Kudos loudspeakers: the Titan 808, Titan 707, Titan 606, Super 20A and Super 10A. Launched in 2015, the mighty Titan 808 is the flagship of the Kudos range. From the ground up, it has been engineered to be one of the fastest, clearest, most coherent and musically engaging loudspeakers ever created. The Titan 808’s drive units are among the best in the world, crafted exclusively for Kudos by renowned Norwegian specialists SEAS. Kudos Titan employs independent upper and lower cabinets, separated by precision-machined spacers and a port resonance guide. The upper cabinet houses the tweeter and mid/bass drive unit while the lower cabinet houses the two bass drivers positioned in an isobaric arrangement where the second driver is placed internally back-to-back with the first. This isobaric arrangement produces a significantly improved bass response and minimises bass distortion and separating the cabinet into two parts, the Titan's higher and lower frequencies remain unaffected by each other, preserving a remarkable clarity to the sound even at very high volumes. Considerable investment has been made in controlling panel resonance with a minimum of damping, Titan's cabinets are made from a combination of high-density fibreboard laminates of three different thicknesses. Optimised internal bracing and damping is used, again to minimise resonance. A triple laminate front baffle, angled back to improve dispersion, provides a solid mounting platform for the drive units to further eliminate vibration. 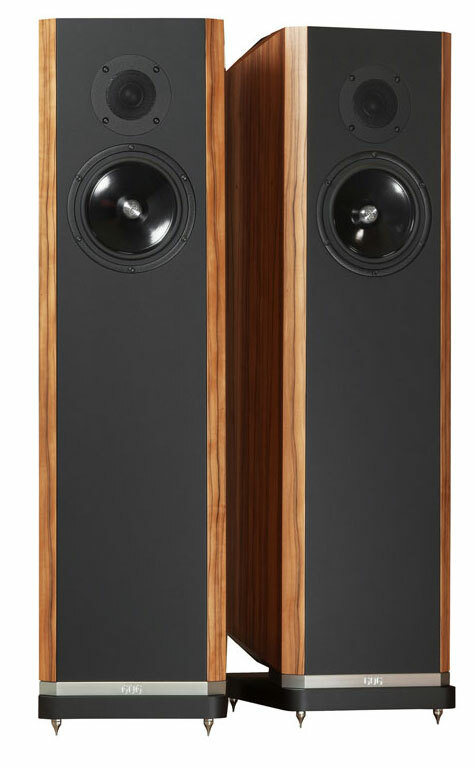 Do you have, or are you considering, a Linn system? 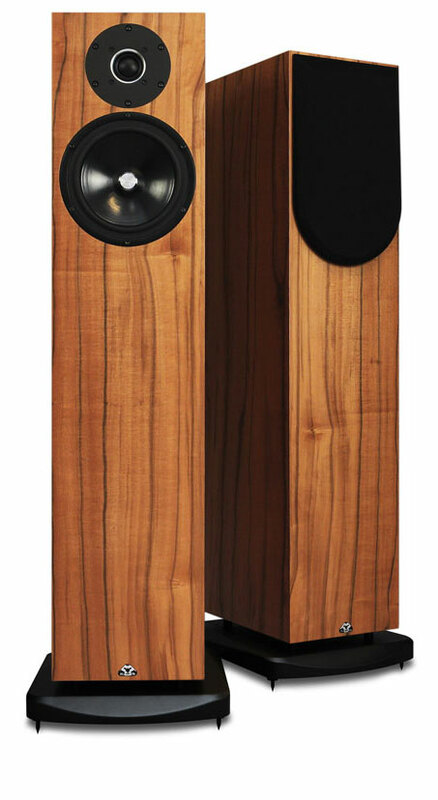 Kudos have been working with industry leaders Linn to bring Linn Exakt technology into Kudos’ top-range loudspeakers. Exakt is a ground-breaking technology which turns the loudspeaker into an intelligent, connected, software-upgradeable product and enables a wide range of performance- and personalisation-enhancing capabilities in design, in manufacture and in-home. The Kudos Titan 707 employs a one box construction scaled down from the 808's twin box design. As with the other members of the Titan family the 707's feature world class drive units crafted exclusively for Kudos by renowned Norwegian specialists SEAS. The Titan 707 shares the same superb quality K3 tweeter as the 808 – a unique SEAS-Kudos design. Based on SEAS legendary 29mm Crescendo K2 fabric dome tweeter, the K3 has undergone significant further development to precisely tailor its capabilities for the Kudos Titan design. Enhanced features include an improved magnet system with copper shorting rings, a completely new resonance chamber and a new face plate profile, all engineered to deliver and even sharper, more dynamic and musically detailed performance. The Titan 707’s twin mid-bass drivers, in contrast, are brand new and totally unique to the 707. Their high quality hard paper cones are double coated to ensure superior stiffness while at the same time preserving the natural damping properties of paper. The two drivers are positioned in an isobaric arrangement: the second driver is placed internally back-to-back with the first, enabling a significantly improved bass response while minimising bass distortion. Kudos’ trademark minimalist, low order crossover is of course a key feature, made possible by Kudos seamlessly matching the drive units. Alternatively, the Titan 707’s crossover has been engineered such that it can be completely by-passed in order to facilitate active operation with selected systems including Linn Exakt and Devialet Expert. While the Titan 707 is a single-box design (compared to the 808’s upper and lower cabinets), its bodywork remains impressively involved. Its complex constrained layer damping in the plinth and side panels is cleverly designed to allow a stunningly convincing, true-to-life sound. The Kudos Titan 606 employs a one box construction scaled down from the 808's twin box design. As with the other members of the Titan family the 606's feature world class drive units crafted exclusively for Kudos by renowned Norwegian specialists SEAS. In fact, all Titan models share the same superb quality K3 tweeter – a unique SEAS-Kudos design. Based on SEAS legendary 29mm Crescendo K2 fabric dome tweeter, the K3 has undergone significant further development to precisely tailor its capabilities for the Kudos Titan design. Enhanced features include an improved magnet system with copper shorting rings, a completely new resonance chamber and a new face plate profile, all engineered to deliver and even sharper, more dynamic and musically detailed performance. The design of the Titan 606’s twin mid-bass drivers is developed from that found in the Super 20A. It features high quality hard paper cones that are double coated to ensure superior stiffness while at the same time preserving the natural damping properties of paper. The two drivers are positioned in an isobaric arrangement: the second driver is placed internally back-to-back with the first, enabling a significantly improved bass response while minimising bass distortion. Kudos’ trademark minimalist, low order crossover is of course a key feature, made possible by Kudos seamlessly matching the drive units. Alternatively, the Titan 606’s crossover has been engineered such that it can be completely by-passed in order to facilitate active operation with selected systems including Linn Exakt and Devialet Expert. While the Titan 606 is a single-box design (compared to the 808’s upper and lower cabinets), its bodywork remains impressively involved. Its complex constrained layer damping in the plinth and side panels is cleverly designed to allow a stunningly convincing, true-to-life sound. 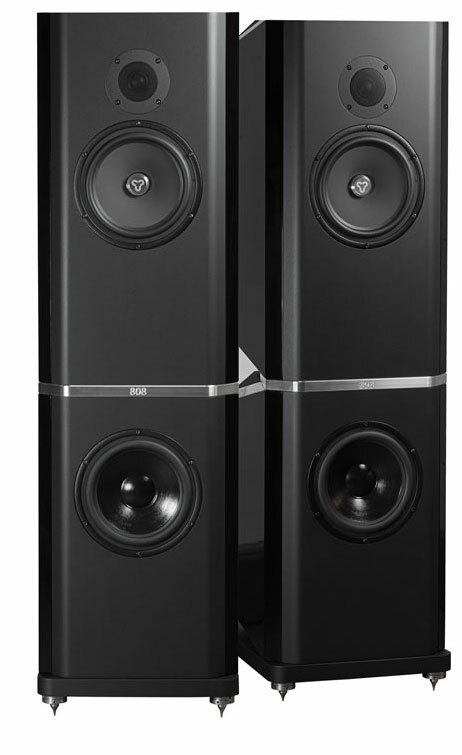 The Kudos Titan 505 stand mount loudspeaker employs a one box construction scaled down from the 808's twin box design. As with the other members of the Titan family the 505's feature world class drive units crafted exclusively for Kudos by renowned Norwegian specialists SEAS. 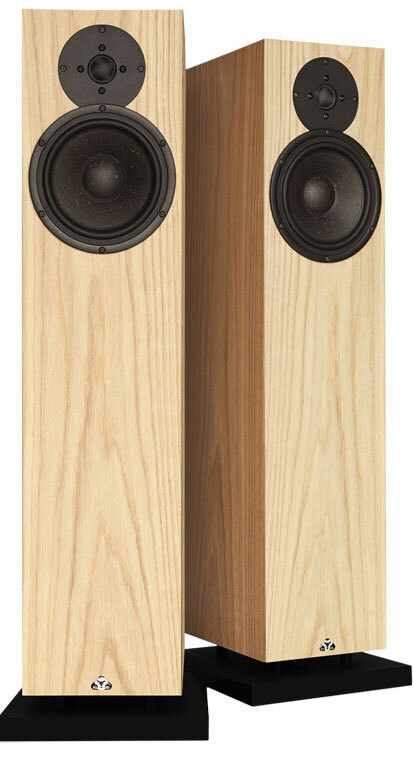 The design of the Titan 505’s twin mid-bass drivers is developed from that found in the Super 20A. It features high quality hard paper cones that are double coated to ensure superior stiffness while at the same time preserving the natural damping properties of paper. The two drivers are positioned in an isobaric arrangement: the second driver is placed internally back-to-back with the first, enabling a significantly improved bass response while minimising bass distortion. Kudos’ trademark minimalist, low order crossover is of course a key feature, made possible by Kudos seamlessly matching the drive units. Alternatively, the Titan 505’s crossover has been engineered such that it can be completely by-passed in order to facilitate active operation with selected systems including Linn Exakt and Devialet Expert. While the Titan 606 is a single-box design (compared to the 808’s upper and lower cabinets), its bodywork remains impressively involved. Its complex constrained layer damping in the plinth and side panels is cleverly designed to allow a stunningly convincing, true-to-life sound and works best when mounted on Kudos designed super stands. The Super 20A’s key features and benefits are directly comparable to those of the Super 10A standmount, but as a floorstander, with improved bass extension and greater scale. The Super 20A takes the C20’s superlative Kudos Crescendo K2 soft dome tweeter and combines it with a newly-developed mid/bass driver and a fully re-engineered crossover. The 29mm Crescendo K2 fabric dome tweeter, driven from a six magnet array and with a moulded alloy back chamber, is based on the legendary (and justifiably costly) Crescendo unit from Norwegian specialists SEAS, but has been further developed by SEAS exclusively for Kudos. This is almost certainly one of the finest tweeters in the world, with an unrivalled ability to accurately reproduce high frequencies without smearing of fine detail or compression. The newly-developed mid/bass driver incorporates a copper shorting ring in its voice coil designed to minimise eddy currents, as well as an aluminium phase plug to act as a heatsink. Both drive units are unique to Kudos and are carefully matched to integrate seamlessly, requiring only a simple low-order crossover. In this case the crossover has been fully upgraded with new Mundorf inductors and non-inductive resistors, as well as Mundorf Supreme (gold/silver/oil) capacitors. These components are produced to very tight tolerances and are individually tested and hand selected. The Super 20A’s reflex-ported cabinet is constructed from 18mm high density MDF specifically chosen for its acoustic properties. Internally, the cabinet is optimally damped and braced to minimise resonance and externally, it is handsomely finished in a choice of real wood veneers or a satin white paint. Both drivers are neatly flush-mounted into the cabinet and the grille is held by magnets to maintain a clean appearance. The reflex port, which incorporates a damped port design similar to the flagship Titan 808, is situated on the bottom of the cabinet to enable more flexibility in placement within the listening room. The plinth – a tri-laminate design of high density MDF, a damping compound and a steel base – provides a fixed boundary gap for the port to work optimally as well as giving additional stability. High quality stainless steel spikes are also included for optimum grounding of the loudspeaker to the floor. Finally, the easy 8 ohm impedance means that the Super 20A will perform impeccably with a wide range of valve and solid state amplifiers. The Super 10A is essentially a scaled down stand mount version or the Kudos Super 20A for when space is at a premium. The Super 10A’s reflex-ported cabinet is constructed from 18mm high density MDF specifically chosen for its acoustic properties. Internally, the cabinet is optimally damped to minimise resonance and externally, it is handsomely finished in a choice of real wood veneers or a satin white paint. Both drivers are neatly flush-mounted into the cabinet and the grille is held by magnets to maintain a clean appearance. The Kudos X3 uses the same high quality tweeter as the smaller X2, but marries it with a new 18cm mid-bass driver. The driver’s cone is made from a mixture of paper and reed fibres, combining inherent stiffness and natural damping with light weight to improve transient and dynamic response as well as overall clarity. A copper-clad aluminium voice coil further enhances transients and dynamics, while a copper shorting ring reduces distortion. A cast chassis gives the main driver optimal stability. Both drive units are of exceptional quality, manufactured exclusively for Kudos by Norwegian specialists SEAS and specifically designed for the Kudos loudspeaker range. Excellent integration between the two drive units allows the use of a low order, high quality crossover for minimal electrical interaction with the signal. The X3’s cabinet is constructed from 18mm high density MDF specifically chosen for its acoustic properties, and is carefully tuned to minimise cabinet colouration and time smear. The reflex port is situated on the bottom of the cabinet so that the plinth then provides a fixed boundary gap for the port to work optimally, as well as providing additional stability. Available in a range of beautifully finished real wood veneers, the X3 holds true to Kudos’ philosophy of clean lines and simple, understated styling. It uses its extra size to add improved bass extension and greater presentation scale over the X2, but maintains the open and accurate midrange and a subtly detailed treble. Designed to be easy to drive and to position within a room, the X3 brings out the energy, exuberance and life in a wide variety of music, whatever the genre. While it may take up a little less space in your listening room and do less damage to your wallet, there’s certainly nothing ‘small’ about the X2’s design and performance. The drive units are manufactured exclusively for Kudos by Norwegian specialists SEAS and have been specifically crafted for the X2’s more compact size. Both drivers are of exceptional quality and the mid-base driver uses a cast chassis for optimal stability. The two drive units are woven together with bespoke crossover components from experts Clarity Caps and Mundorf, producing one of the most musically rewarding compact loudspeakers ever. The 15-litre, reflex-ported cabinet is constructed from 18mm high density MDF specifically chosen for its acoustic properties and carefully tuned to minimise cabinet colouration and time smear. The reflex port is situated on the bottom of the cabinet, where the plinth then provides a fixed boundary gap for the port to work optimally, as well as giving additional stability. The cabinet is internally damped and braced to minimise resonance, and beautifully finished in a choice of real wood veneers or a satin white paint. The drivers are neatly mounted into the cabinet and the grille is held by magnets to maintain a sleek outer aspect. As with all loudspeakers in the Kudos range, the easy 8 ohm impedance means that the X2 will perform beautifully with a wide range of valve and solid state amplifiers.